Princess Elizabeth is living the dream: royal castle, royal wardrobe, and royal fiancé Prince Ronald – until one day a dragon ruins her castle and takes off with her Prince. Wearing only a paper bag she sets off to find the dragon and rescue Ronald. This is my absolute favorite picture book of all time. 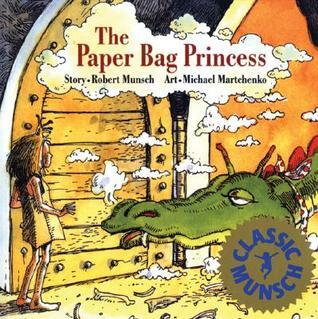 As per usual with Robert Munsch’s books, it’s full of fun plot surprises and quirky characters. Elizabeth is one of the best literary heroines ever written. It’s amazing how well the characters are developed in just a few short pages, thanks in large part to the fabulous illustrations. The illustration style fits the tone of the story perfectly. 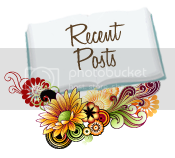 Thomas doesn’t want to wear his ugly new snowsuit, and he goes to great lengths to avoid it, waging war with his mother, his teacher, and his principal. Will anything or anyone be left standing by the time they get him into it? The illustrations in this book are just delightful. The best part is how expressive the characters are – every line of every limb adds to the character development, from hair down to foot position. Thomas’ expressions are hysterical. One of the best things about Robert Munsch’s books is how much fun they are to read aloud. Thomas’ Snowsuit is particularly fun to read…the kids always chime in when Thomas says “NNNNNO.” Make sure you REALLY draw out that ‘N’ sound. Extra bonus points if you let out your inner goofball; the characters just scream for funny, over-the-top voices. 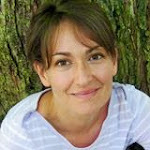 The book paints perfectly and poignantly the challenges of parenthood and the unbreakable bond of love between a parent and child. 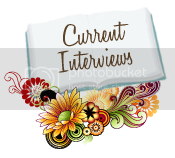 McGraw’s art complements the story perfectly, and her unusual perspectives (i.e. scene angles) keep it interesting. It’s fun to watch both the son and the mother grow and change. There are also 2 ‘extra’ characters who show up consistently in the illustrations throughout the book and add a lot of fun. Warning: reading this book will make you want to go hug somebody you love. 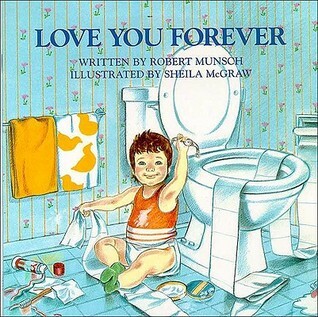 Robert Munsch is so great!!! My favorite book of his is ALLIGATOR BABY. Sooooooooo funny!!! Thanks for these great reviews and for reminding us all of these classic books, Sarah! 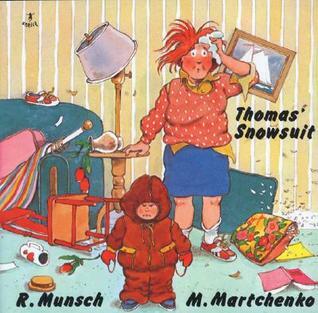 I've never read Thomas' Snowsuit, but I adore The Paper Bag Princess and Love you Forever! Thanks for reviewing these fantastic books and this zany, wonderful, heartfelt author! I could read The Paper Bag Princess 1000 times and never tire of it. Come to think of it, I have three kids, so I probably HAVE read it to them 1000 times!